Thai Airways International announced Saturday it would increase its fuel surcharge on some international flights by US$10, due in part on the rising cost of jet fuel. Wallop Bhukkanasut, the airline's executive vice president for commercial affairs, said in a statement that the new rates would apply starting Sunday. The surcharge on routes between Bangkok and Auckland, New Zealand, would rise to US$60 from US$50. On routes between Bangkok and New York and Los Angeles, it would increase to US$50 from US$40. In May, Singapore Airlines announced a fuel surcharge increase for the second time this year. An increasing number of Western tourists from developed countries are traveling to Asia in order to receive inexpensive, yet high-quality, medical care and cosmetic surgery. Last year, more than 1.3 million patients were treated in Asia alone, a rate that continues to grow at about 30 per cent a year. Bangkok's Bumrungrad Hospital is one of the most recognizable facilities in the world for those looking to receive less expensive medical care. Bumrungrad has more than 20 offices around the globe, and serves more than 1 million patients every year. Those traveling to Asia for care say they do so because of low cost, superior hospitality and short wait times. A Travel + Leisure Magazine's readers' survey ranked Bangkok as the third best city in the world. The city of angels was surpassed by Florence, Italy, and Buenos Aires, Argentina. Last year, Bangkok ranked number 7 on the list. Singapore Airlines was voted the world's best international carrier, while The Peninsula Bangkok won the title of the world's best hotel for $250 or less. 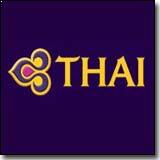 Meanwhile, the Four Seasons Resort in Chiang Mai was named the best hotel spa in the Asia Pacific region. Phuket ranked number 8 on the list of 10 best islands.